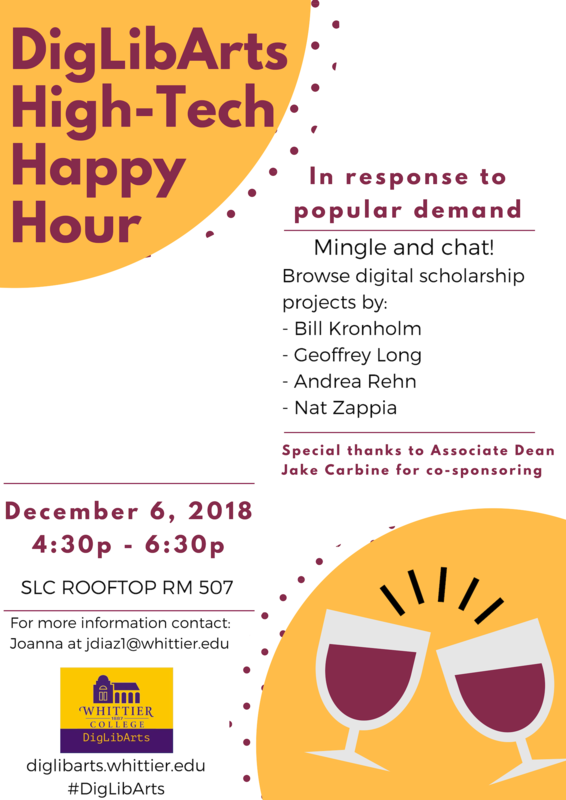 DigLibArts Sponsors annual High Tech Happy Hour! 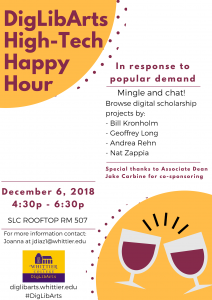 In December, faculty and staff enjoyed an evening at the top of the Science and Learning Center hosted by DigLibArts. The event featured ongoing projects by the DigLibArts “pllars.” These faculty are pursuing varied projects involving digital archiving, wellness, domain developing, digital storytelling and worldbuilding, and open source mapping. Check out their projects here!